Low cross-contamination of oil and fat products is vital when frequent stock changes of different feedstocks are required. To make this process more efficient, a semi-continuous deodorizer is used. Crown’s DiFlow deodorizer offers advanced deodorizing, high heat recovery and low cross-contamination. The DiFlow uses a three-level, shallow-bed tray design in each deodorizing compartment, which provides better oil/steam contact and exposure to vacuum than traditional deep-bed tray designs. The oil in each deodorizing compartment cascades from level to level and is circulated to the two upper levels by steam pumps located on the lowest level. 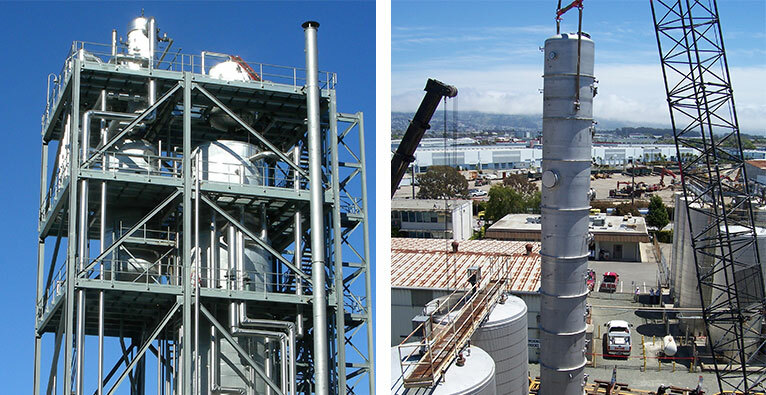 The DiFlow deodorizing system is used in physical refining processes with only minor changes to operating conditions. Several vacuum systems can be used—traditional and direct and indirect vacuum systems or chilled loop and ice-condensing vacuum systems.